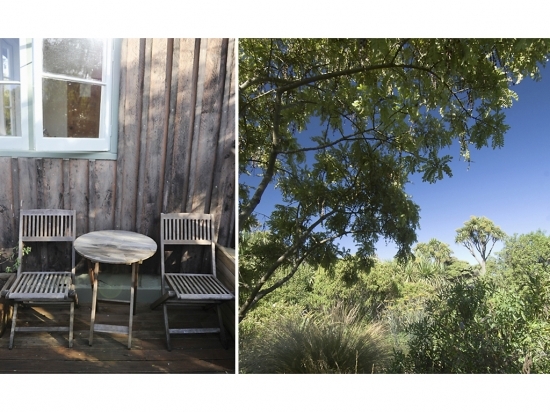 Bushy Point Fernbirds Bed and Breakfast is unique in southern New Zealand. A private reserve secluded on 5 ha, it is actually part of a larger public reserve and a Ramsar wetland of international importance, legally protected in perpetuity with a QEII open space covenant. 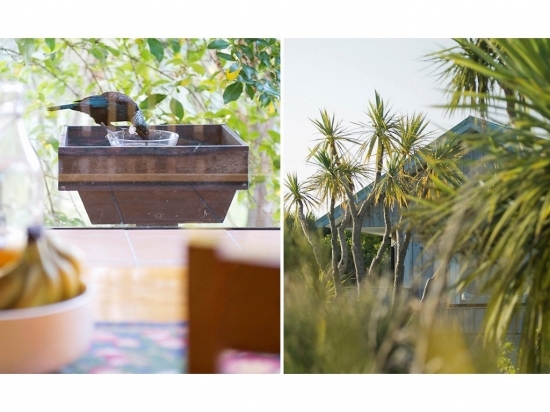 The reserve is close to the edge of the New River Estuary only 10 minutes from Invercargill city and 25 minutes from the Stewart Island ferry from Bluff. Our position is perfect for travellers to Southern New Zealand driving the southern scenic route or going to Stewart Island by plane from Invercargill airport or ferry from Bluff. Some of our guests who have just completed a long international flight appreciate the peace and quiet here for their first night in New Zealand. The B&B has a feeling of seclusion in a forest. There has always been a remnant population here of fernbirds, which are an endemic New Zealand species. While they are not endangered yet they can be notoriously difficult to find. Their flight is weak, they are largely a ground dwelling bird. This makes them easy prey for New Zealand's introduced predators. We have carried out pest control on the introduced predator animals which has boosted the number of birds. The walk has a transition from tall podocarp forest with trees hundreds of years old to salt marsh in a short distance. Landscapes such as this are becoming rare in lowland New Zealand now, due to land use pressure from dairy farming. We have built a track and boardwalk on our property which helps access into the wetlands and prevent damage off track. Local schools are encouraged to use the facility. We have planted forest restoration re vegetation and carried out weed control. We have developed a strong conservation ethic due to the fragile nature of our environment. We use bicycles as our main form of transport locally. We recycle everything we can. Our winter heating is from locally sourced firewood. We take our guests on a guided tour on our property. We hope to show them all fernbirds but along the way there is plenty to see especially for guests not familiar with New Zealand flora and fauna.